Does magnesium really protect you against heart attacks? You have probably heard that taking magnesium supplements is an effective way to decrease your risk of a heart attack. But is it true? Not all the studies agree. However, that may be because there isn't a good way to measure how much magnesium is actually in your body. The blood levels of magnesium don't fall below normal until a deficiency is severe. So they are not helpful. How can you figure out if you need more magnesium? Just taking some magnesium "for insurance" is one way of doing it. But how can you be sure that you are taking enough and that you are absorbing what you take? 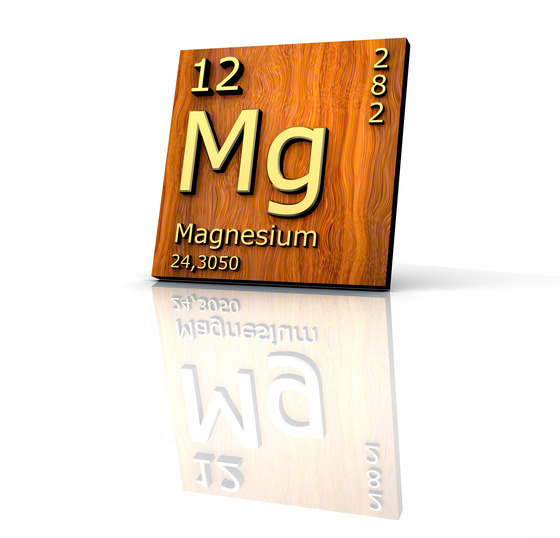 A new study is giving us what may be the best way to measure magnesium. Additionally, it is giving us an idea of what the optimal levels are. And, finally, it is showing how powerful magnesium is in preventing heart attacks. The researchers looked at 7,664 men and women, all of whom were free of heart disease. They measured their blood levels of magnesium. But they also had them collect their urine for 24 hours and then measured the amount of magnesium that they eliminated in their urine. The rationale was that unlike blood levels, the amount of magnesium that is in the urine has to take into account the amount that they took and the amount that they absorbed. A little over 10 years later, 462 of the men and women had suffered a heart attack. The researchers then analyzed the chance of having a heart attack as it related to the levels of magnesium initially found in their urine. They found that the men who had urine magnesium levels less than 2.93 mmol/24h and the women whose levels were less than 2.45 mmol/24h had a 60-100% greater chance of having a heart attack than the men whose levels were greater than 5.24 and the women whose levels were greater than 4.38. And here's the thing. The blood levels of magnesium were not helpful at all. They were not in any way predictive of who was at risk. So if you have already had a heart attack. Or if you are at risk for one, have your doctor analyze your 24-hour urine for magnesium. Make sure that you are taking enough magnesium to get your levels over 5.24 mmol/24h for men and 4.38 mmol/24h for women. Usually, you can take as much magnesium as your bowels will tolerate, but not more than 1,000 mg. I prefer magnesium citrate, as it's the most bioavailable form on the market. Taking magnesium is a simple thing to do that might very well save your life. Joosten MM, Gansevoort RT, Mukamal KJ. Urinary and plasma magnesium and risk of ischemic heart disease. Am J Clin Nutr. 2013 Jun;97(6):1299-306.